Welcome to A-OK Driving School York. My name is Paul, I am an experienced, local driving instructor who offers a range of affordable driving lessons in York, Acomb, Fulford and the surrounding areas. I provide a professional, reliable service that is designed to suit the needs of each individual pupil. Whether a complete novice, or an experienced driver looking to further their skills, I will provide you with the right training. 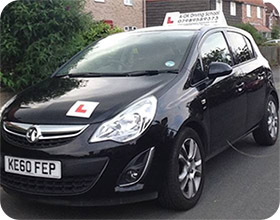 So that our pupils can achieve their ambition of passing their practical driving test, we provide a friendly, professional learning atmosphere where all driving lessons are tailored to suit the unique needs of each individual pupil. These structured lessons are not only designed to enable you to quickly and efficiently pass your driving test, but also aim to make you a safe, confident driver for life. So, if you need affordable driving lessons in York, Acomb, Fulford or any surrounding area, please explore our website to see what we have to offer.